If you were to do a simple Google search for social media sites, you might be shocked at the number of different platforms. It’s unrealistic to think you could possibly have an impactful presence on all of these sites, but how do you know which social media sites are best for your business? Maybe you’re struggling to establish your social media presence. Maybe generating content has proven to be a challenge. Maybe you’ve created your accounts but are struggling to manage them or don’t feel that it’s worth your time and energy. Or maybe generating content has proven to be a challenge. There’s no denying that social media is a powerful tool to help you reach potential customers or clients. But just like any other marketing effort, a one-size-fits-all approach doesn’t work. Achieving your optimal social media presence requires that you determine three things: 1) your audience, 2) your content, and 3) your capabilities. So, let’s get started. 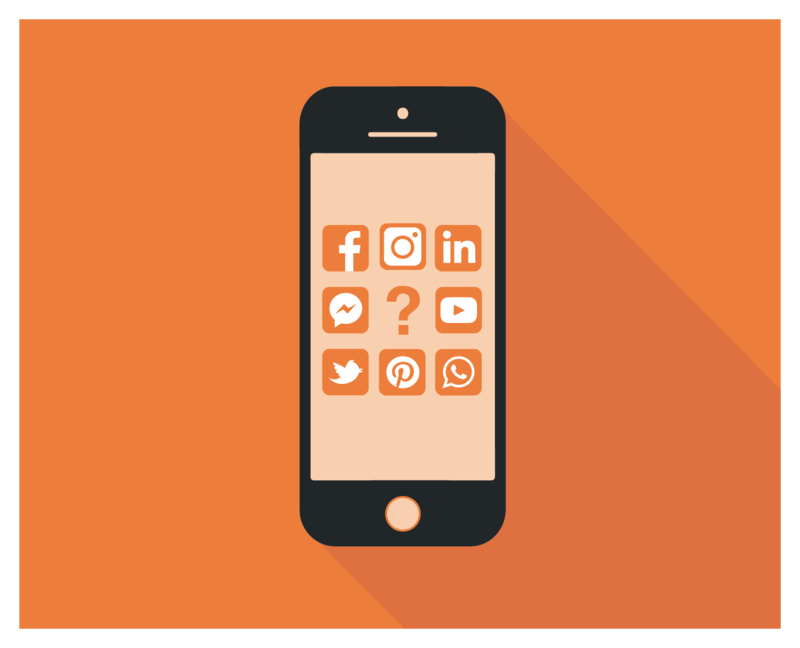 Understanding which social media sites your customers are using is the first step to getting the most out of your time spent on social media. Hopefully you’ve already done some customer research and have a solid understanding of your target demographics. The Pew Research Center conducts a survey each year on adult social media use in the US. They’ve broken out demographics including gender, age, income, education level, and geography type for each of the eight most popular social media sites including Facebook, YouTube, Pinterest, Instagram, Snapchat, LinkedIn, Twitter, and WhatsApp (although YouTube and WhatsApp are not what most people consider a traditional social media platform). Based on this research, if your target audience is 50- to 64-year-old adult males, it’s safe to say that Snapchat isn’t going to deliver you the customers you’re looking for. Take Starbucks for example. They’re such an established brand, we can make some assumptions regarding their primary target audience. They’re generally between the ages of 18 and 40, with higher incomes who are willing to spend a little extra cash on a specialty drink. Based on this, you may not be surprised that they haven’t posted on Facebook since October 23. But their Instagram account is thriving and active, filled with stories, beautiful images, and user-generated content. Likely because this is where their primary audience is spending their time. Remember, just because it’s new or popular, or even because you use it yourself, doesn’t necessarily mean your audience is using it. Explore the research that is available, including this 2018 study, and determine which platforms your audience is using. If you are active on more than one platform (which we’ll get to next), this means you may need to customize your content to fit the platform. For example, let’s say you’re a local coffee roaster and you want to share with your audience how to make the perfect French press cup of coffee. On Facebook, you may share a quick video taking viewers through the steps from grinding the beans to pouring the delicious coffee in their cup. You could use this same content on Pinterest, except in a step-by-step guide that utilizes photos and text to walk readers through the exact same process. It will take some planning, but when your content fits the platform, your audience will be more engaged and likely to have continued interest in what you’re doing on- and offline. Wendy’s is a great example of customizing content to the platform. Here’s a snapshot of their Instagram feed. It’s all images and short videos that showcase their product in a bright, colorful, and fun way. Now take a look at some of their tweets. The content is totally different. They’re using trending hashtags, inserting themselves into pop culture (retweeting Kanye West), and engaging with their fans in a way that is fun and personal. For more ideas on what kind of content to post on your social media pages, check out Buffer’s full guide to optimizing your social media content. It can be tempting to try and do it all. When it comes to social media, doing it all is exhausting, ineffective, and usually leads to you not posting anything at all. Now that you’ve determined where your audience is and what kind of content they’re seeking, it’s time to think about what you’re capable of doing well. The Pew Research Center survey indicates that “roughly three-quarters of the public (73%) uses more than one of the eight platforms measured in this survey, and the typical (median) American uses three of these sites,” with younger adults, ages 18–29, using four platforms. The good news is, you don’t need to master Facebook, Pinterest, Instagram, Snapchat, LinkedIn, and Twitter. The next set of good news is that you get to communicate directly with your customers in three to four fun and engaging ways that fit your business best. If this still seems overwhelming for you, then take a step back and consider two to three different platforms. It is far better to do a couple of things well than many things poorly. In the end, the best thing you can do is begin with a little guidance and strategic help from a pro who’s willing to teach you so you can avoid early and common mistakes. Once you start utilizing the social media sites that work best for your business, chances are you’ll start to see a real impact and begin to enjoy this aspect of your marketing strategy. Happy posting!